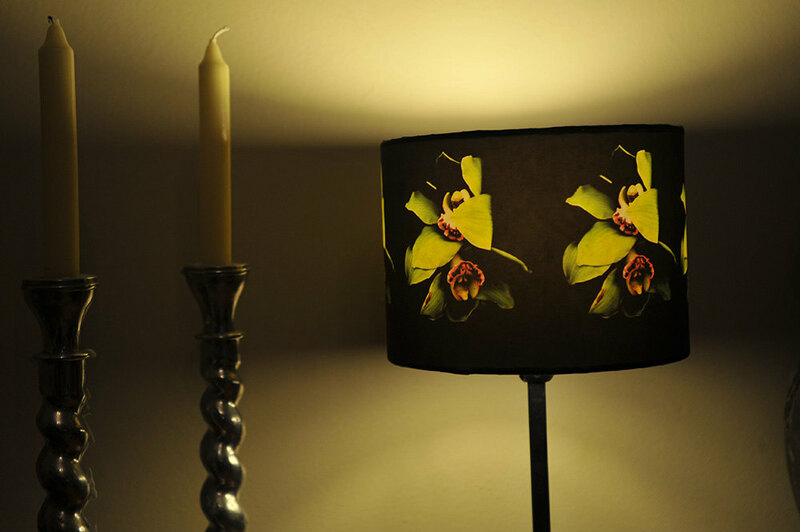 Stunning, exotic orchid flower lampshade. Black and green with hints of red. Detailed image created my myself. Looks beautiful lit or not. I have prints available to co-ordinate. Also in this range are wallpaper and cushions. Insert pictures show possible coordinating prints. These are limited edition prints.